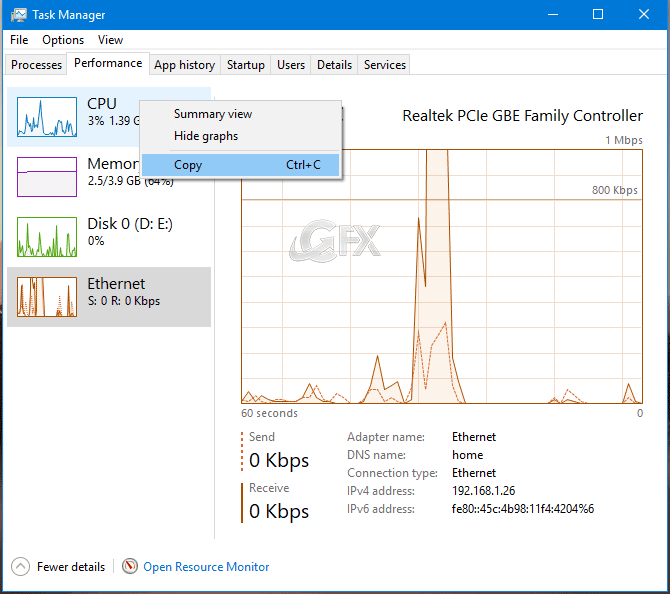 When something is not working correctly on your Windows 10 PC, the Task Manager is a tool that can provide valuable information about your system performance. 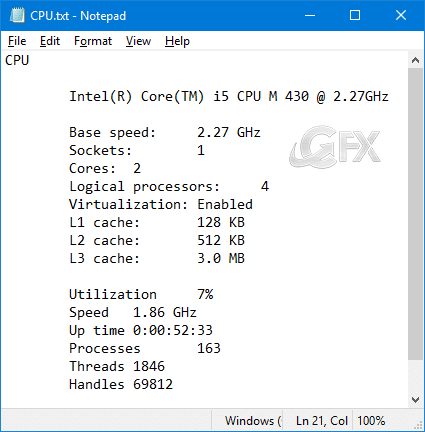 This handy Windows feature gives you an overview of what your computer is doing from applications and processes to resource usage. The ability to monitor your computer’s performance in real-time can not only help you understand how resources are being utilized, but it’s also useful information when trying to figure out the reason your device is not achieving expected network and hard drive speeds, among other issues. information about your system’s resources, you may want to record some of the data. 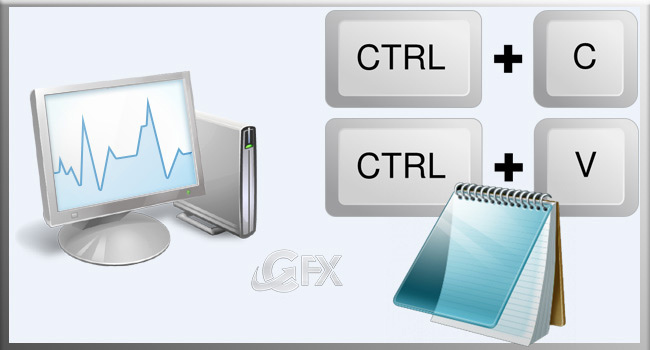 You can copy and paste the data that you need. 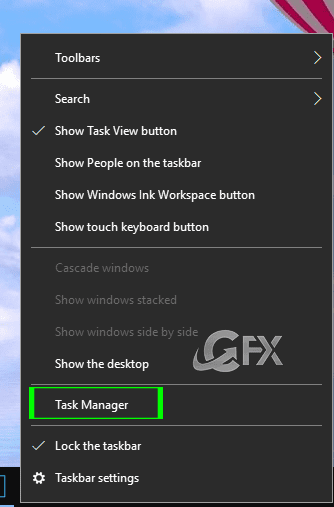 2- When Task Manager opens, you need to click “Performance”. In the Performance tab, you’ll get the information on the CPU usage, memory usage, and so on. 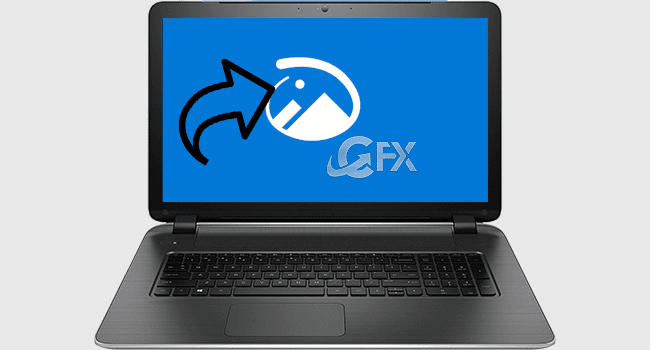 Right-click on the data chart from any resource and click copy. 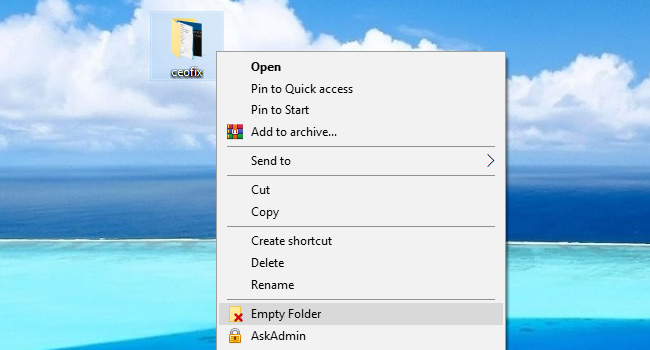 You can do that by right-clicking the desktop, moving over to “New”, and clicking “Text document”. 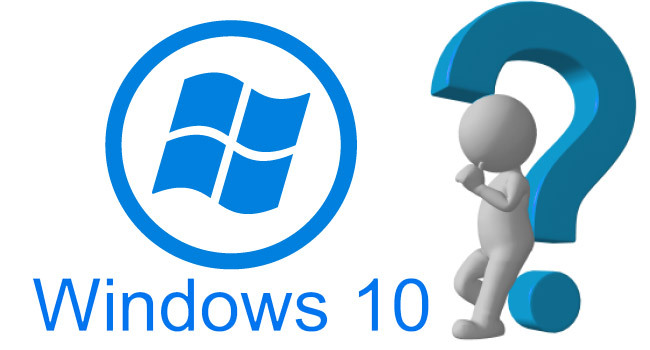 You can also create a Word document , excell document, nopepad++ or any other document. Users Online: 3 │ 38 queries in 0.233 seconds.